Fleetwood’s on Front Street wasn’t only playing the blues on Saturday, April 2. It was becoming blue for the night. 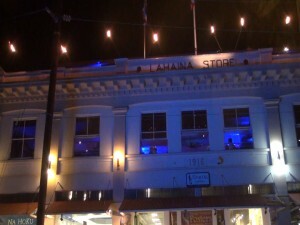 “This building just turned 100 years old in Lahaina; it’s a major monument. 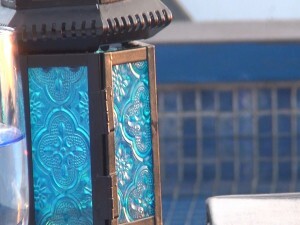 What we wanted do is light it up blue,” explains Eric Waddell, general manager at Fleetwood’s, which joined more than 11,000 landmarks, buildings and homes around the globe to mark World Autism Awareness Day with a “Light It Up Blue” campaign on April 2. It wasn’t just the outside of the building. There were blue lights in the dining room and on the rooftop patio. 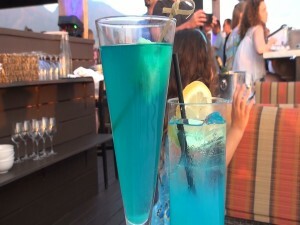 There was a special blue menu with blue cocktails and a blueberry dessert. The staff was wearing blue, and many customers did the same. Easter Seals Hawai‘i will also receive 100% of the net proceeds from April sales of custom blue t-shirts, thanks to Fleetwood’s local community campaign, #MickGivesBack, which helps raise funds for a different Maui charity or cause each month. 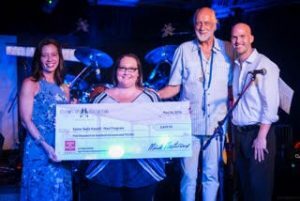 The staff of more than 100 people competed to raise the most donations, and Fleetwood’s kept them motivated to keep collecting. “We told the staff, ‘Whoever gets the most donations from all their customers, Fleetwood’s on Front Street will match the total number of donations,’ so if they get $1,000 in donations, we’ll match that $1,000 in donations,” Waddell explains. 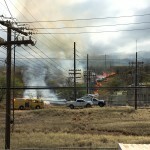 Kona Storm provided the blues music up on the rooftop, but Waddell tells me Fleetwood’s is unveiling a special, underground venue for musicians. Called Club Keller, it honors a musical memory from owner Mick Fleetwood’s childhood. With a tight budget and just nine days to renovate, staff transformed the basement space, which housed the former Paradise Blues, into Club Keller, a new, comfortable home for live music. Blue decor at Fleetwood’s on Front Street. Photo by Kiaora Bohlool. 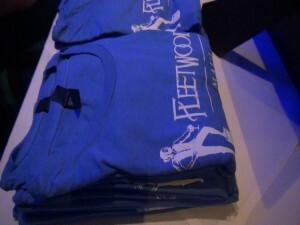 Fleetwood’s on Front Street, lit up blue on April 2. Photo by Kiaora Bohlool. 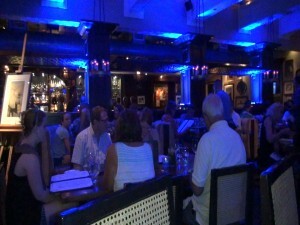 Fleetwood’s dining room, lit up blue on April 2. Photo by Kiaora Bohlool. 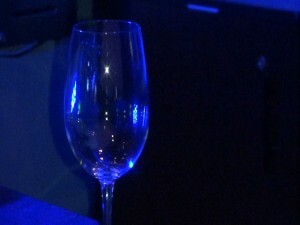 Blue-tinted wine glass at Fleetwood’s. Photo by Kiaora Bohlool. Blue t-shirts on sale at Fleetwood’s, to benefit Easter Seals Hawai’i. Photo by Kiaora Bohlool. 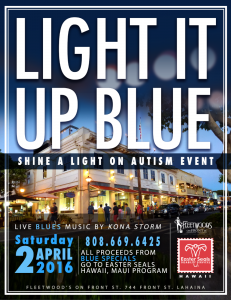 Blue drinks to mark World Autism Awareness Day at Fleetwood’s on Front Street in Lahaina. Photo by Kiaora Bohlool. Eric Waddell, general manager at Fleetwood’s on Front Street. Photo by Kiaora Bohlool. 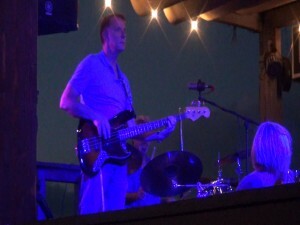 Kona Storm plays in blue light at Fleetwood’s on Front Street in Lahaina. Photo by Kiaora Bohlool. 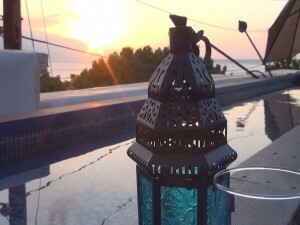 Sunset and decor at Fleetwood’s on Front Street in Lahaina. Photo by Kiaora Bohlool. 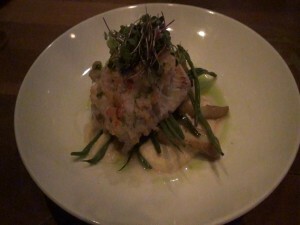 Fresh fish dish at Fleetwood’s on Front Street. Photo by Kiaora Bohlool. Bartender prepares blue cocktails at Fleetwood’s on Front Street. Photo by Kiaora Bohlool. 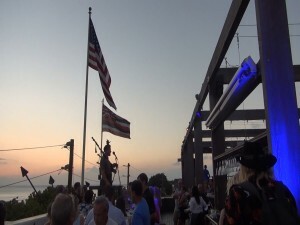 Sunset ceremony with bagpipes at Fleetwood’s on Front Street in Lahaina. Photo by Kiaora Bohlool. 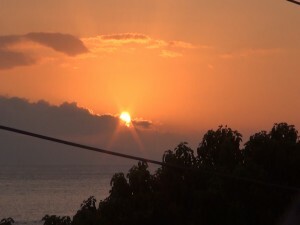 Stunning Maui sunset, from the rooftop lanai at Fleetwood’s. Photo by Kiaora Bohlool. Club Keller will welcome Willie K and others on Tuesday, April 12. The Mick Fleetwood Blues Band is currently touring in Australia and New Zealand; it will take to the new stage on Tuesday, April 19 and Thursday, April 21. See more details here on the lineup here. Along with notable musicians, Waddell says fans are sure to enjoy the new, intimate setting for shows. 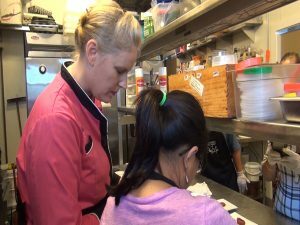 Whether it’s the live music, top-quality food or ongoing community spirit that draws you to Fleetwood’s, Waddell says he hopes the positive vibe among employees radiates out to embrace customers as well.